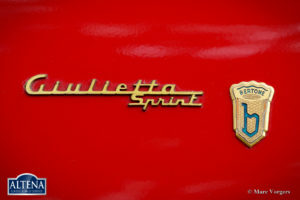 Alfa Romeo Giulietta 1300 Sprint, year 1962. 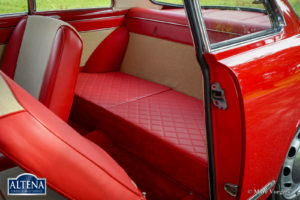 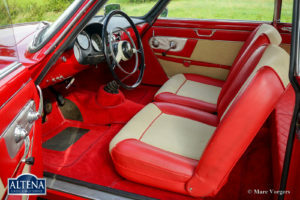 Colour red with a red / crème interior. Chassis number AR3500X, engine number AR00102 3020X. 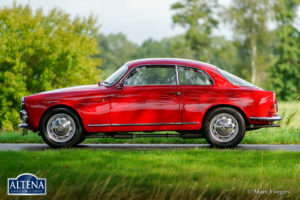 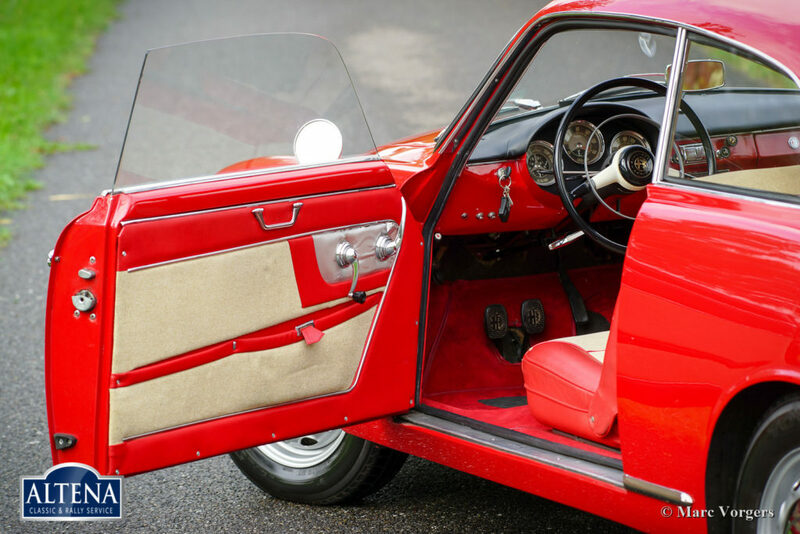 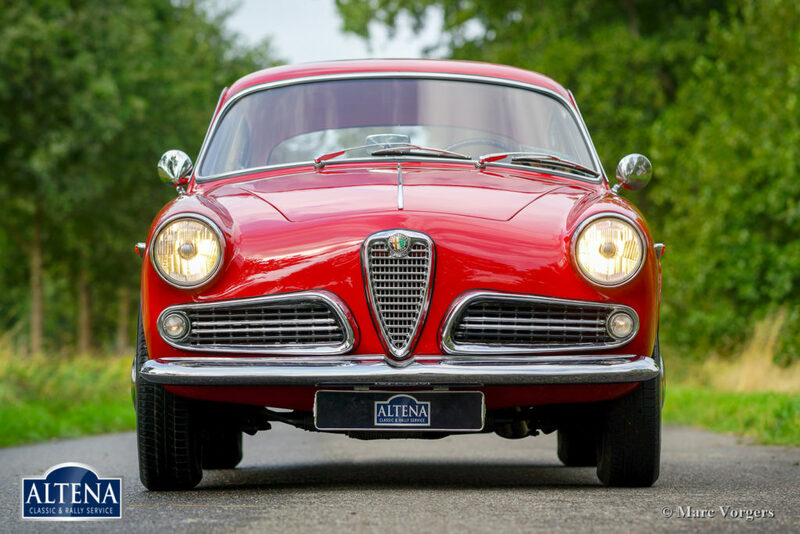 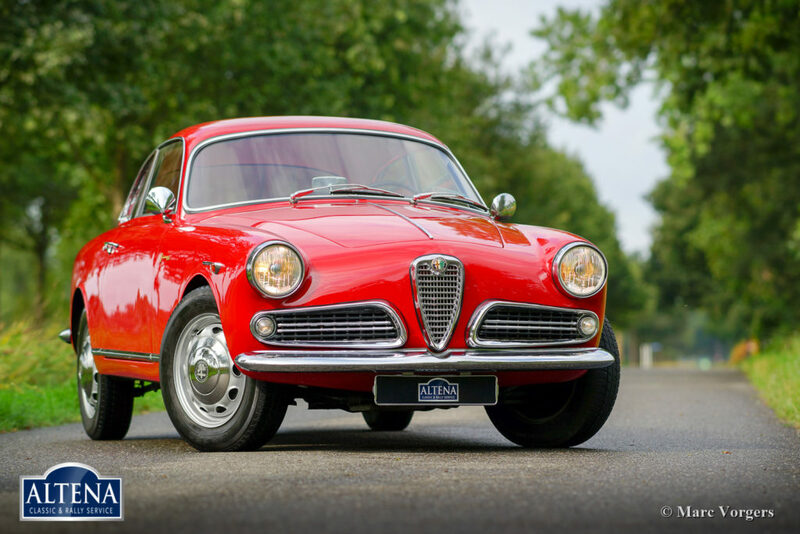 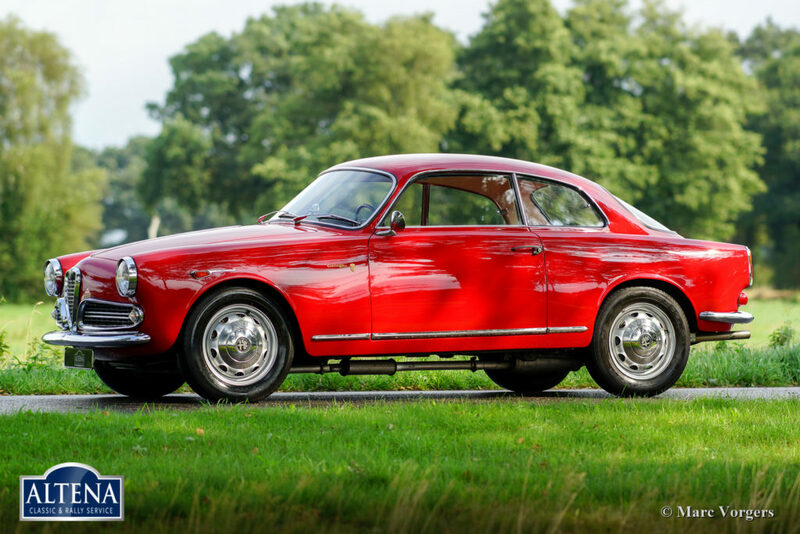 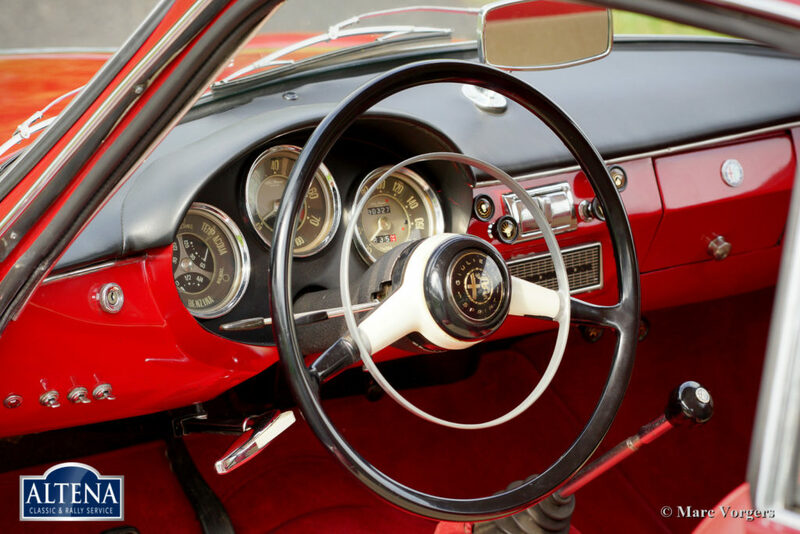 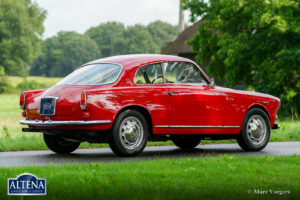 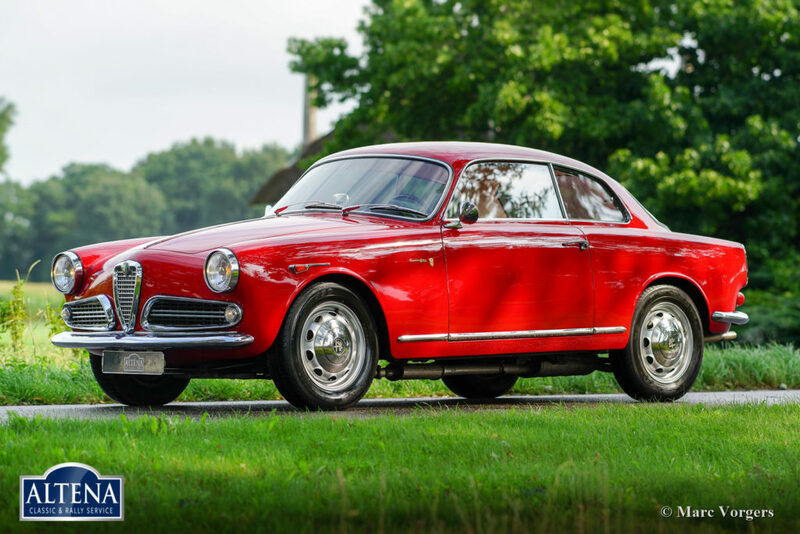 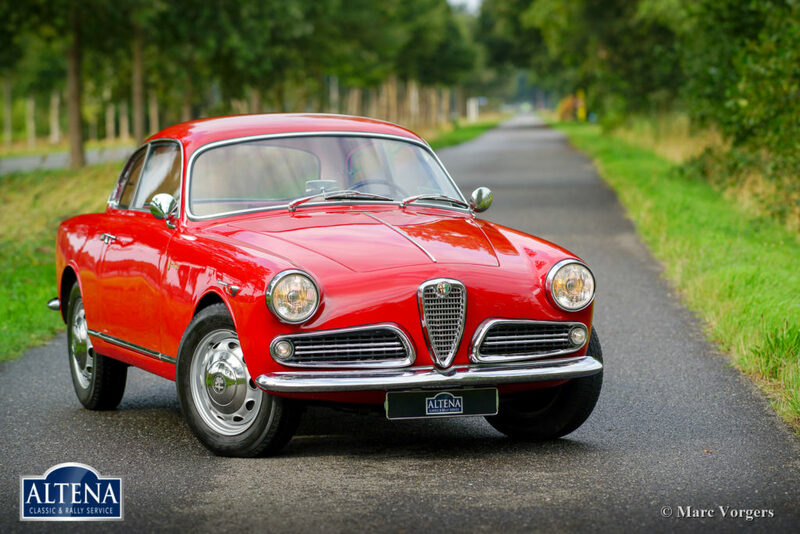 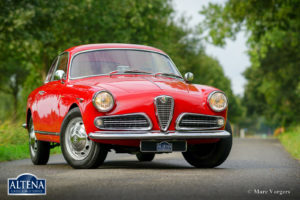 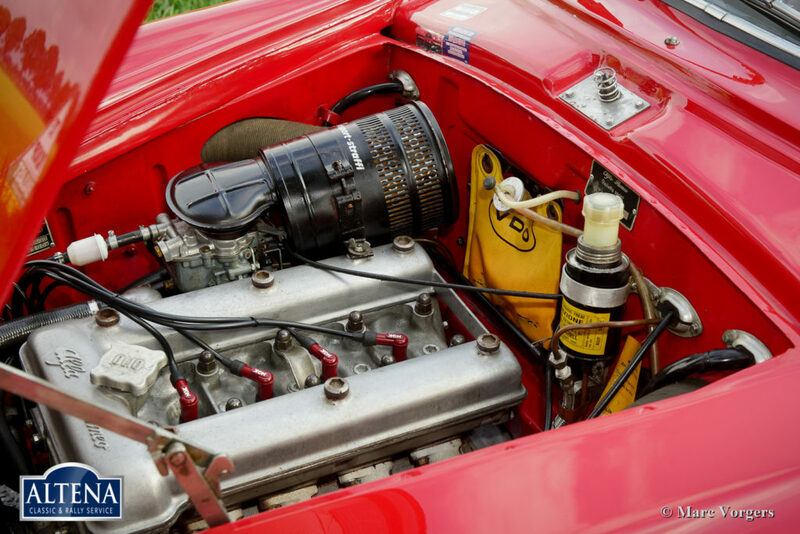 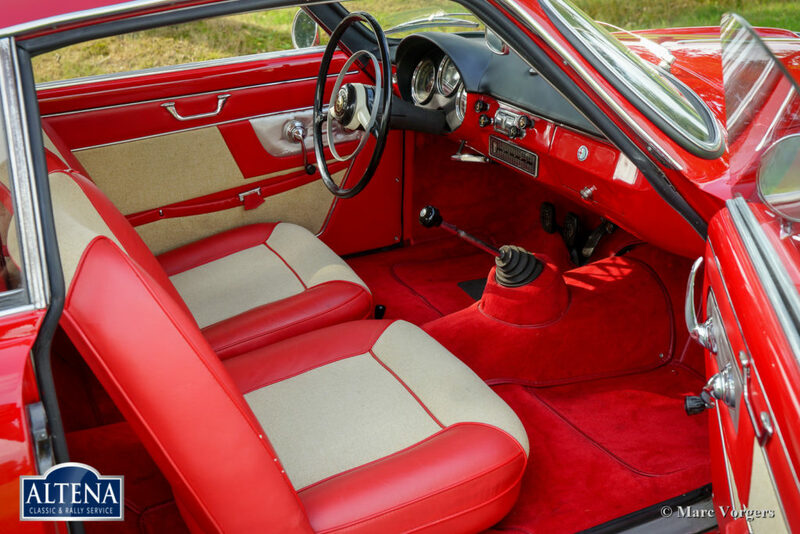 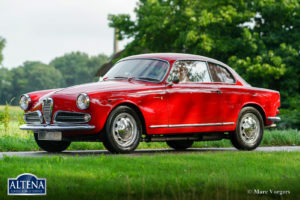 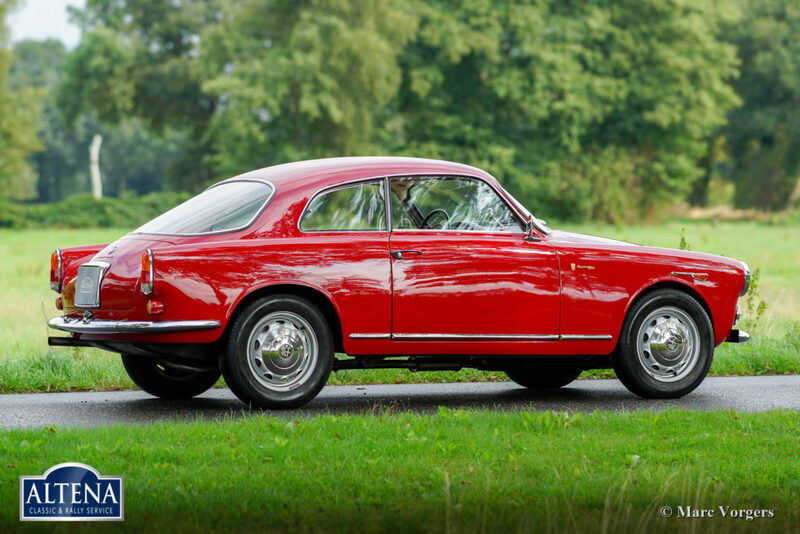 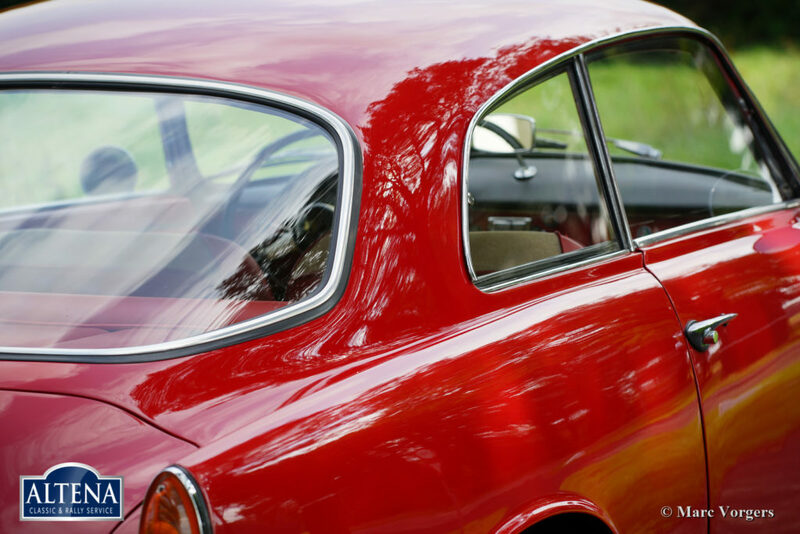 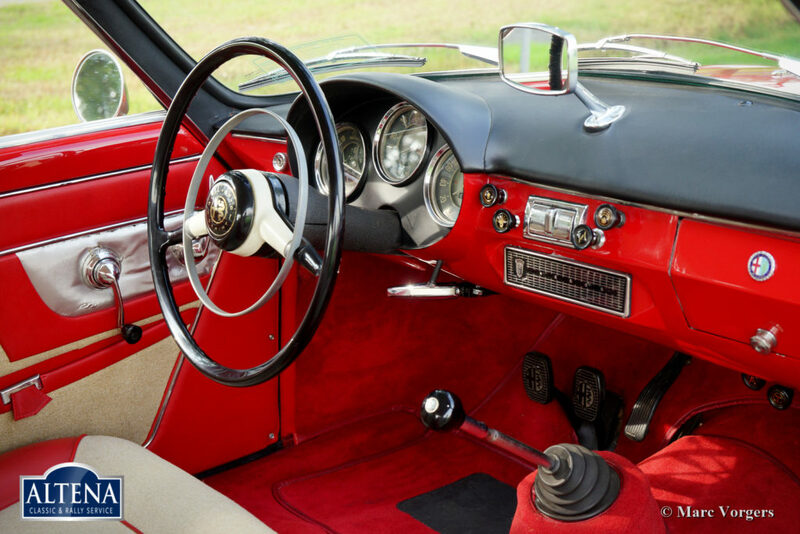 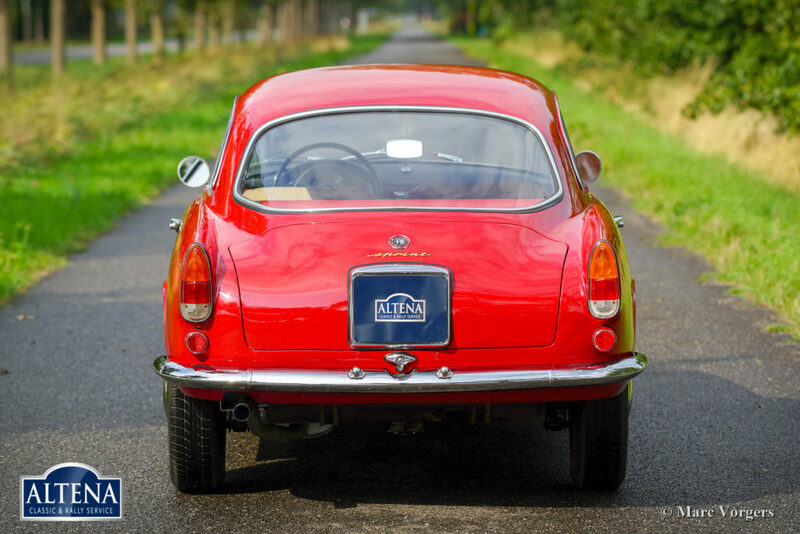 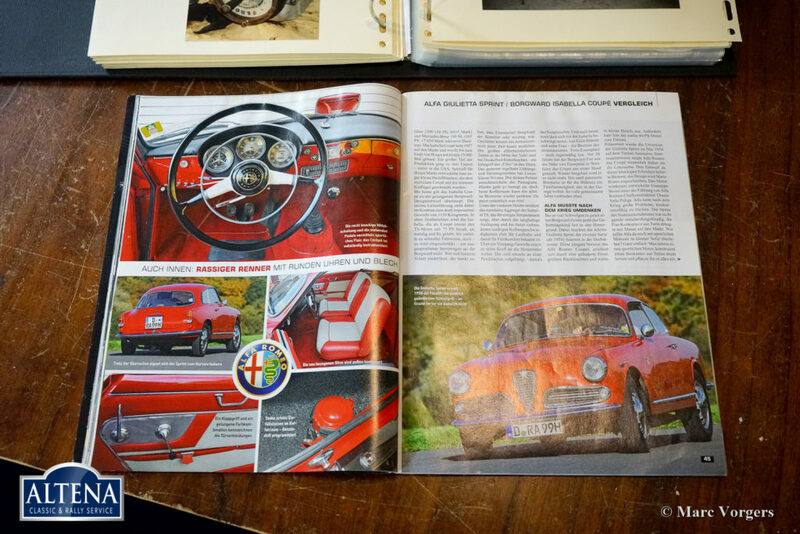 This gorgeous Alfa Romeo Giulietta Sprint was extensively and professionally restored in the 1990s. 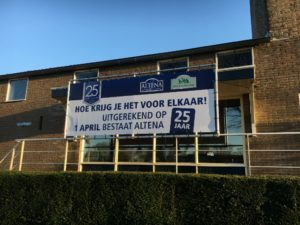 The purchase price and the total restoration costs topped 120.000 old Dutch guilders in those days! 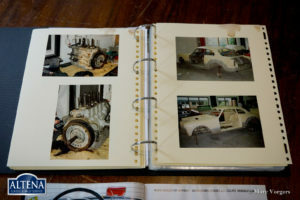 A photo report of the restoration and all the invoices are present. 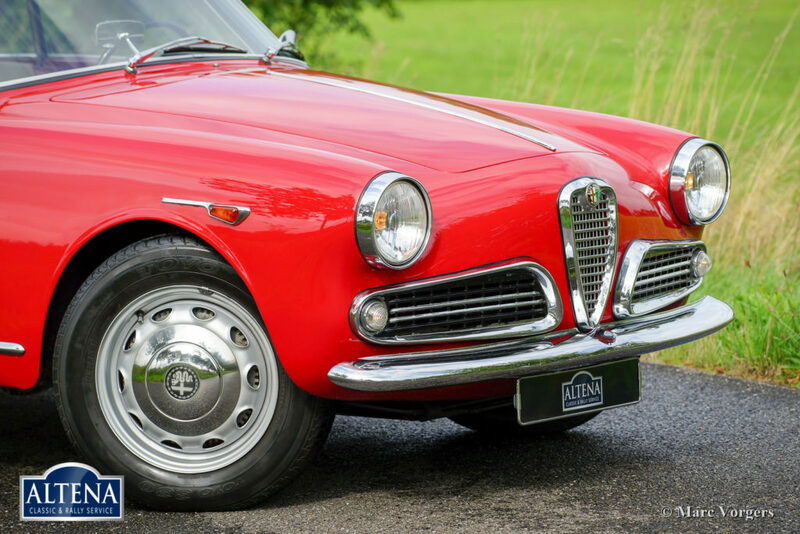 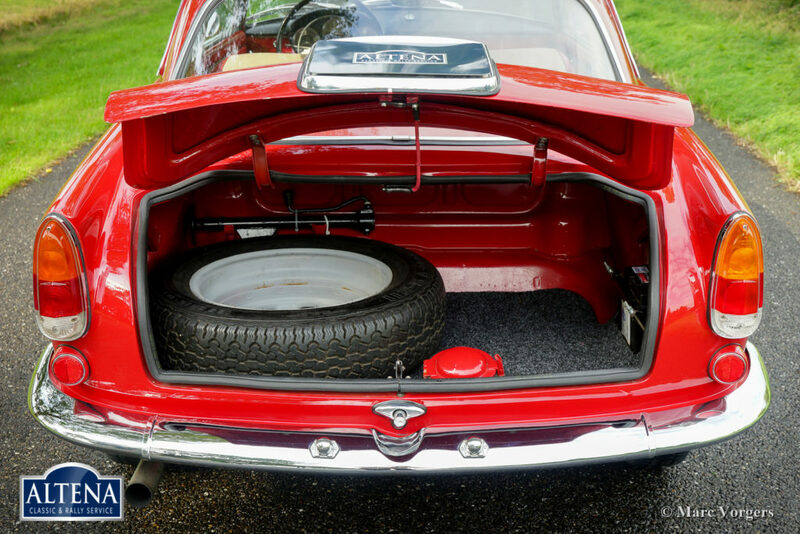 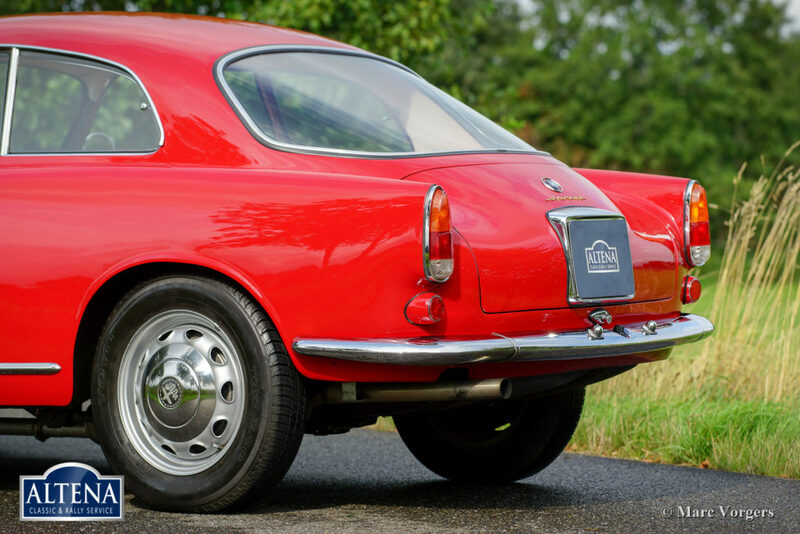 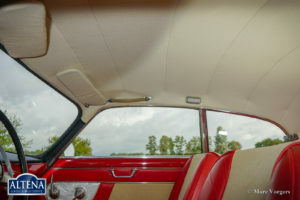 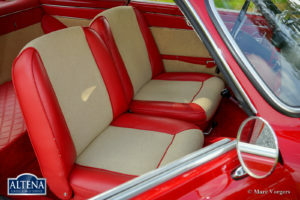 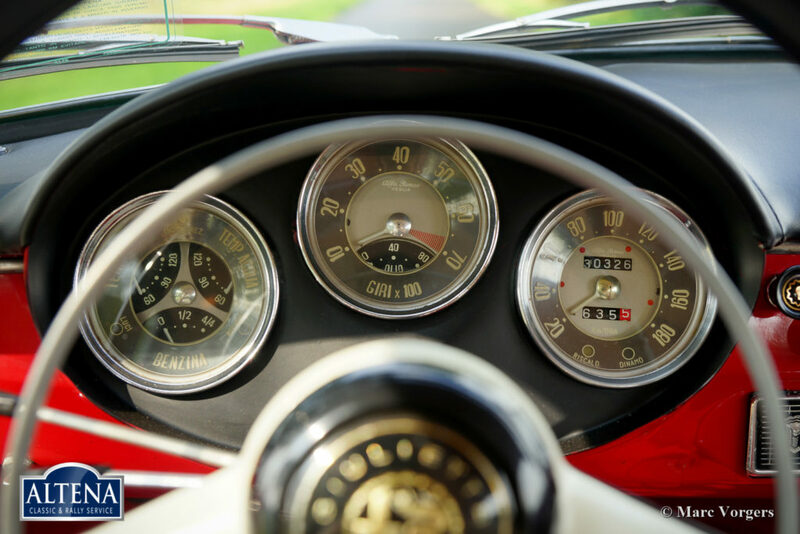 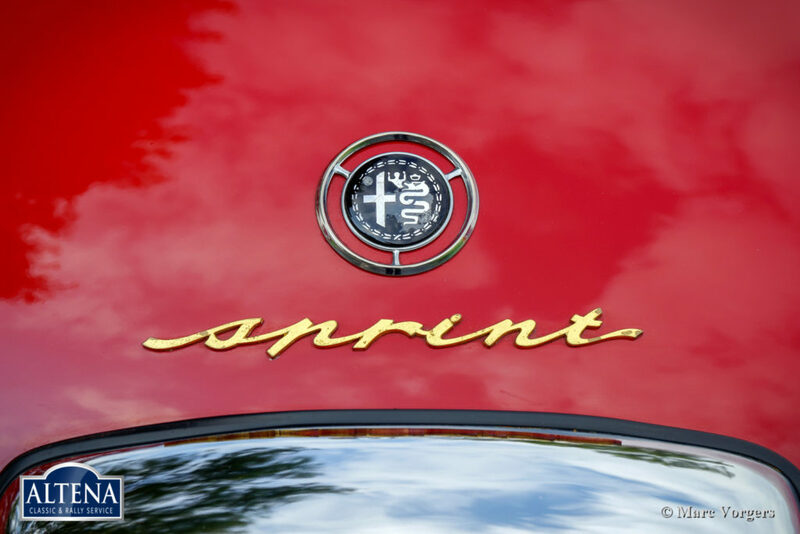 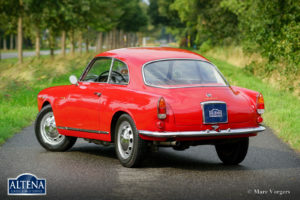 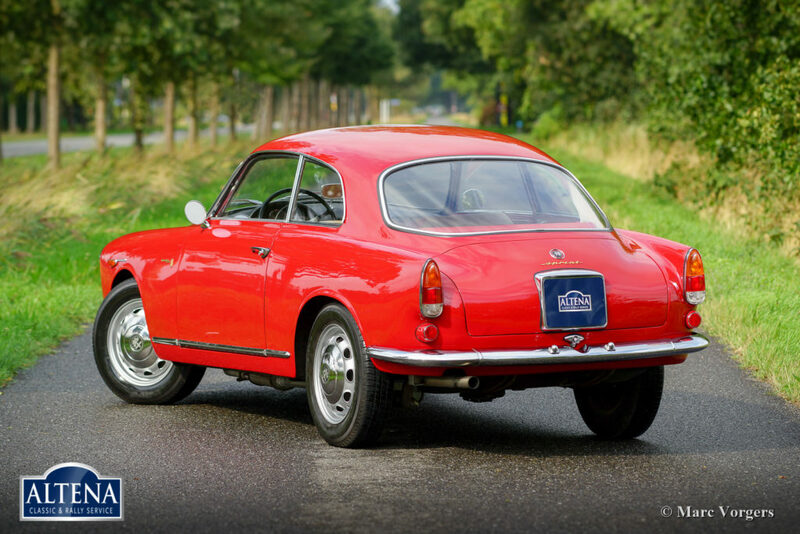 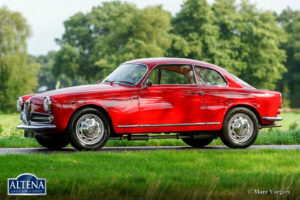 This Alfa Romeo Giulietta Sprint is in excellent condition and the car drives perfectly! 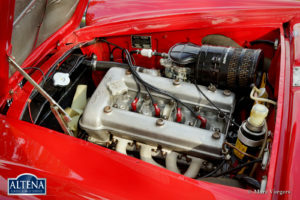 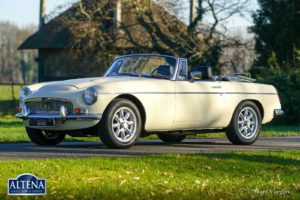 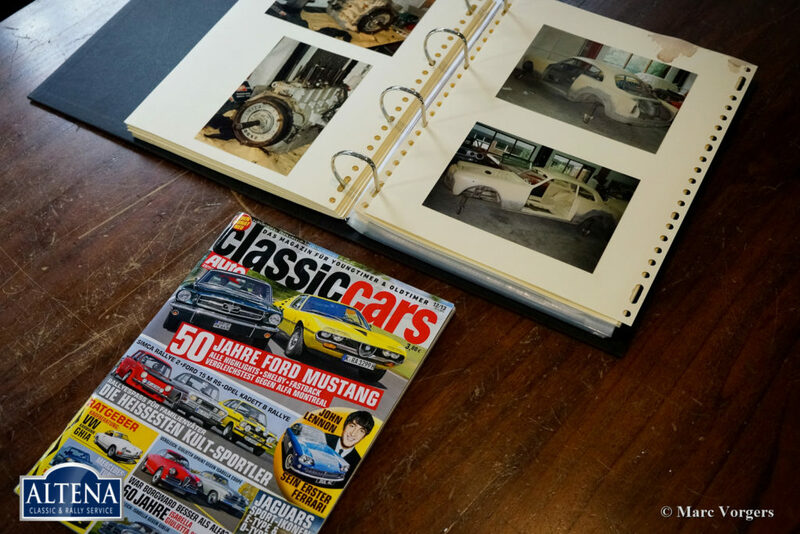 The full history of the car is known and documented. 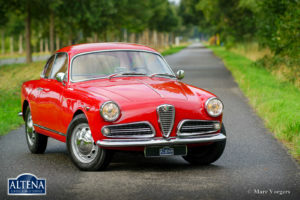 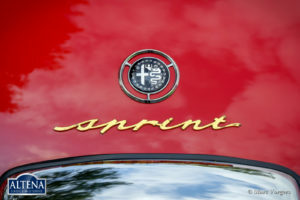 In the year 2007 the car was fitted with a 5-speed gearbox derived from a Giulietta SS. 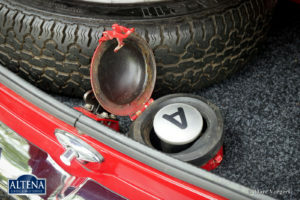 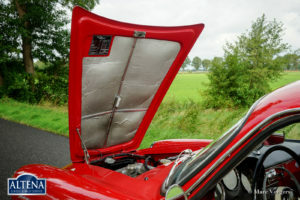 Furthermore, the car features electronic ignition and an immobilizer system. 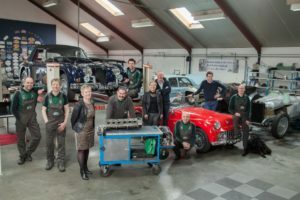 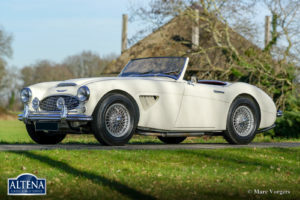 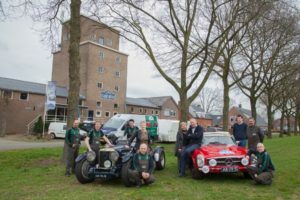 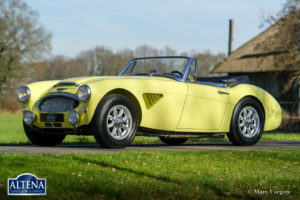 Over the last years the automobile was punctually serviced in the workshops of Altena Classic service. 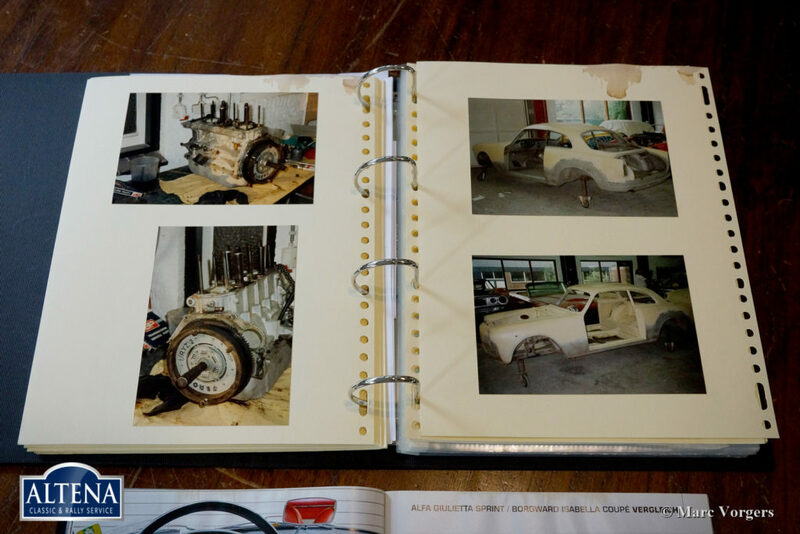 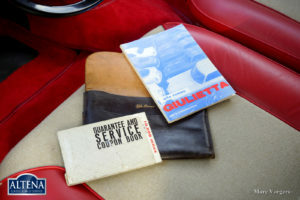 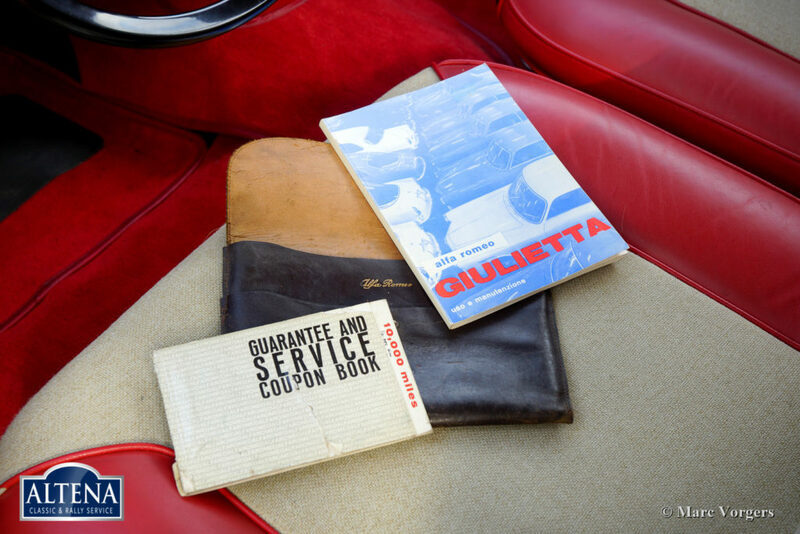 The car comes complete with the original owners’ booklets in their original leather folder! 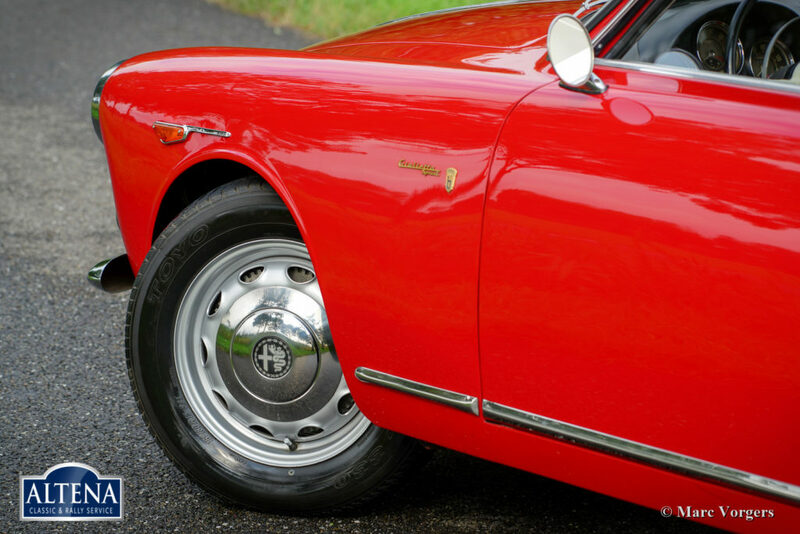 A very desirable Italian GT! To request information about this classic please fill in the form below.